Phos-Phytos 0-32-21 + T.E. L.
Biokimia international S.r.l. offers the best solution for plant nutrition by producing special fertilisers for advanced agricultural fruit crops, horticultural crops, ornamental and field crops. We can provide affiliated retailers with different after-sale services and targeted technical service for the end users. Thanks to many years of experience, Biokimia International S.r.l.‘s technical staff are capable of working out targeted and personalized fertilising programmes that cover the many different crop needs, following the climatical characteristics of the environment where the crops are planted, vegetal physiology, genetics and health status of the plants to be treated. Following nature without changing it, finding the correct balance and preventing stress are synonymous for a successful and sustainable agriculture. We search for the best nutritional solutions for the plants by monitoring the worldwide market and sourcing only the best raw materials and selecting innovative and technologically advanced products. Production of our fertilisers only takes place after careful selection and constant inspection of the raw materials to be used. The production units where our fertilisers are manufactured and packed are technologically advanced and progressively up dated, the units where our water soluble powders and liquids are produced frequently undergo inspections to improve their productivity and quality of the production. The formulates and methodology of production are scientifically accurate and continuously evolving. 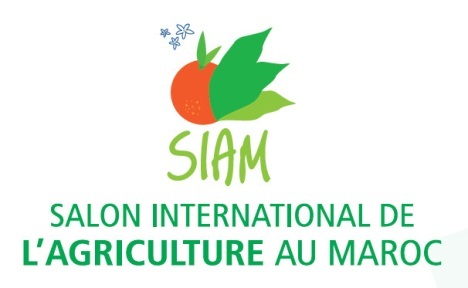 While we take care of the production and sales of the products already tested, we are constantly researching new materials and new substances to be introduced in agriculture. As well as sourcing particular mineral fertilisers our studies and our research are also projected towards natural organic substances that are capable of bio stimulating plant metabolism and naturally nurturing and protecting them. Our goal is to produce specialty fertilisers for plant nutrition, that when used can considerably reduce environmental impact. Many natural organic substances possess bactericide, antiviral and fungicide properties. Others keep certain harmful insects away by acting as a repellent whilst guaranteeing at the same time reproduction of pollinating and useful insects. They are very particular substances that are both excellent stimulants and nutrients: they naturally nurture and protect. We are valuating, from a nutritional point of view, many vegetal and animal origin substances, biologically fermented or hydrolyzed via enzymes from selected strains of bacteria or yeast. The resulting products will then be tested “on field” to verify plant reaction. 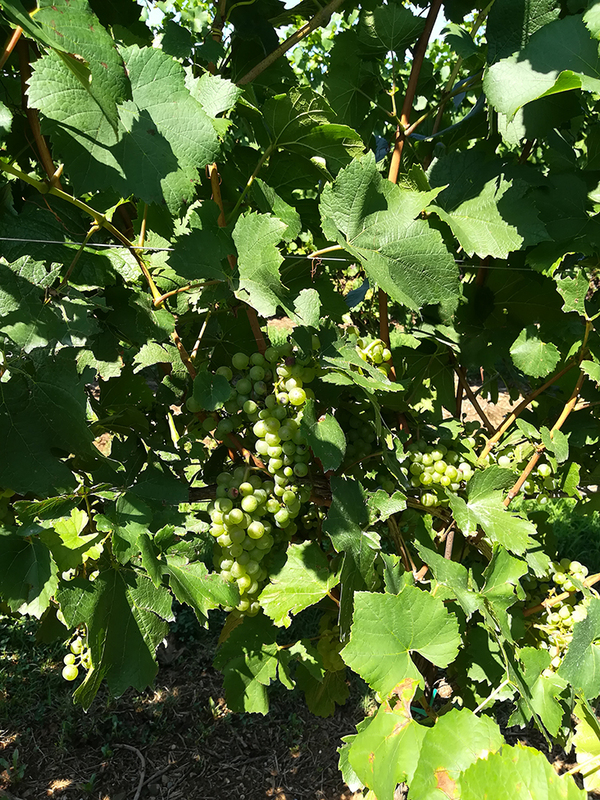 The scientific field test set to demonstrate the validity of the Bio Project line and carried out with the support of the Promo Vert test center, is proceeding and is on his way towards harvesting. Up to now the results are very positive. Biokimia intensifies the drop: every drop enriched with our products...is an elixir of nourishment and strength! Biokimia International is the sponsor on the cover of the June "fertigation special" issue of L'Informatore agrario , a specialized agricultural magazine that boasts the largest national publications in Italy. 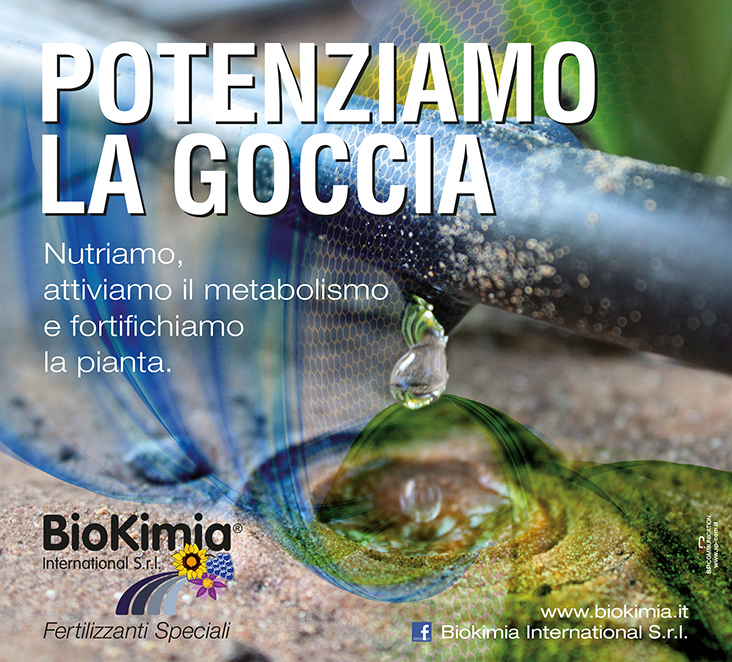 Biokimia boosts the vital activity of irrigation water with their plant metabolism, bio-activating and fortifying fertigation products. Crops treated with Biokimia products are more resistant towards adverse environmental conditions and diseases and they also have a reduced environmental impact. The best solution for plant nutrition. Biokimia international S.r.l. offers the best solutions for plant nutrition by producing special fertilisrs for advanced agriculture for fruit, vegetable, ornamental and field crops. We can provide retailers with excellent after-sale services and in cross-examination with them, end users will be able to enjoy targeted technical advice. Company listed at the Bologna C. of C. Listed in the Register of fertiliser manufacturers with n° 610/07.